As some of you may be aware of it is National Infertility Week starting today!! This week means so much to me! This week is not only for those who have struggled with infertility, It is more for those who have not. It is a week of education on a hushed topic for those who do NOT know! A topic full of pain, heartache and trial! Yesterday, I was laying on the couch pondering about this week and how I can best help those who are struggling and those who are not but maybe know someone struggling, trust me, you know someone struggling…they may just not be announcing it! Then I, as I do every day, pulled up my TimeHop app and BOOM….there is was! Two years ago exactly I had posted my Coming Out With Infertility blog! This was a VERY hard post for me to write at the time! I was embarrassed and ashamed that this was my life! Ashamed that I couldn’t do what everyone else could do so naturally! Ashamed that it took so long to get someone to believe me and diagnose me! Two years ago yesterday marked a very big day for me! A Day of hope and help and happiness to come! I thought to myself “this is my answer to what I need to post on the first day on national infertility week!” So I search to find it and I copied and pasted!!!! This is the exact blog from two years ago. These were my exact feeling. This was my desperate plea to educate people so they would stop hurting me with their words…..I understood that people didn’t mean to hurt intentionally but it still hurt. So here is the blog post…..Two years ago exactly yesterday that I posted as I laid in my bed crying hopelessly not know where to go from here…..
Well, I will warn you now that I am not a great writer. I have a hard time putting my words together and I ramble most of the time. But I have been getting this recurring feeling lately that I need to write about this. It is very uncommon for me to feel this way because I absolutely hate writing. So please try to bare with me as I attempt to put my raw emotion on paper, well virtual paper that is. Infertility: Not being able to get pregnant after one year of trying. 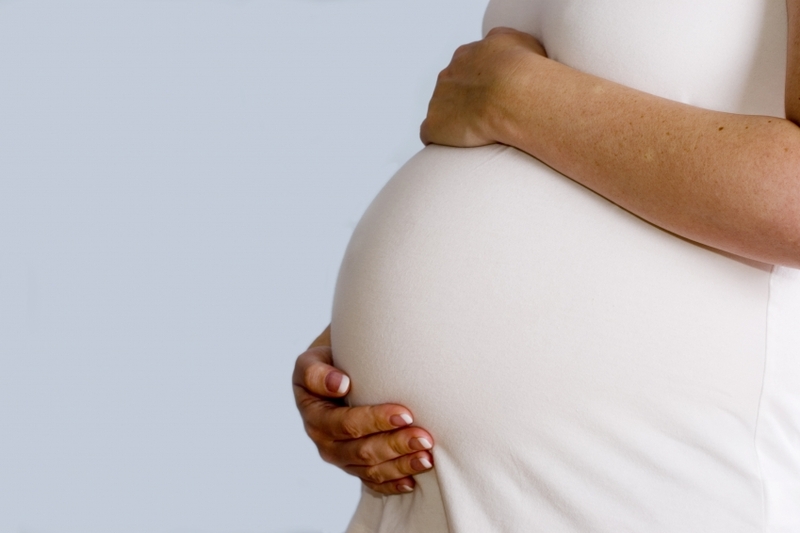 Women who can get pregnant but are unable to stay pregnant may also be infertile. Pregnancy is the result of a process that has many steps. To get pregnant: A woman’s body must release an egg from one of her ovaries (ovulation). The egg must go through a fallopian tube toward the uterus (womb). A man’s sperm must join with (fertilize) the egg along the way. The fertilized egg must attach to the inside of the uterus (implantation). Infertility can happen if there are problems with any of these steps. About 6 and a half years ago my sister and I both announced at the same time that we were going to start to try having kids. Tyson and I had been married for about a year and thought it was time to start trying. Little did we know what was about to be our living hell for the next 7 years. Tyson comes from a big family and so do I so we will not have anything to worry about right? Something that is supposed to be easy and natural would not be the case for us. About 4 weeks later my sister Leslie announced that she was pregnant. We could not have been happier knowing that we possible could be having kids so close together. Months went by and nothing happened for us. And on September 8th 2007 Leslie had her beautiful baby girl Stella Jane Moss. This beautiful baby girl is now 5 and a half! And has brought me so much joy in this time of trial that no one can even imagine. More and more time went by and I started to just deny that there might be a problem. I wasn’t emotionally ready to let this be my reality. Little did I know what was going on inside my body. Now lets back up a little bit. My periods started getting really painful around age 15. To the point were I didn‘t want to, and most of the time didn‘t get out of bed. Pain that Ibuprofen and Tylenol didn‘t even begin to touch. Went to some doctors and they told me that I just had bad cramps and to “buck up” “it‘s part of being a woman“. It wasn‘t just on my period that I would have pain….it was pretty constant. And it was something that I just learned to live with. Now that wasn’t easy but what else was I supposed to do? This must be normal and it must be what everyone else is feeling also. Right??? In August of 2003 I was in the shower and collapsed with pain I had never felt before. EXCRUCIATING PAIN. I literally thought I was going to die!!!!! My mom took me to the hospital where they did an emergency appendectomy to find that I had a large cyst that had burst….They removed the fluid and my appendix just for good measure. They said they looked bad also. I have had several cysts burst since then and the doctors can’t really do much for them. They give me some pain pills and send me home to recover. I HATE pain pills so I usually don‘t take any and I just recover on my own. Now I know that there is no point in going to the doctor, so when It happens I curl up in a ball and set in for the long haul. I‘m a pro now. I know exactly what they feel like and what they are. I have them pretty consistently. 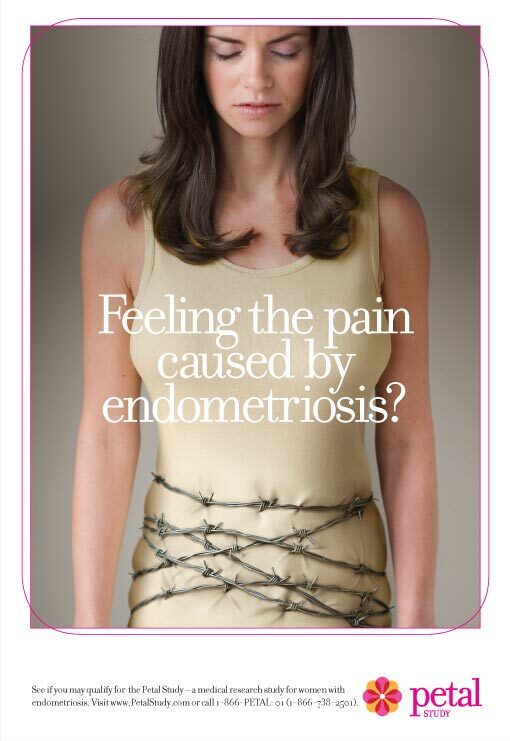 It wouldn‘t be until August of 2012, 11 years later, that I would finally be diagnosed with Endometriosis. And on September 19th 2012 I would have my Laparoscopy for the official diagnosis of stage 3 Endometriosis (Endo). I now have scars on my stomach to always remind me of this glorious day that would finally give me some answers to this madness. Endometriosis: A gynecological medical condition in which cells from the lining of the uterus (endometrium) appear and flourish outside the uterine cavity, most commonly on the membrane which lines the abdominal cavity. The uterine cavity is lined with endometrial cells, which are under the influence of female hormones. Endometrial-like cells in areas outside the uterus (endometriosis) are influenced by hormonal changes and respond in a way that is similar to the cells found inside the uterus. Symptoms often worsen with the menstrual cycle. There is no cure for endometriosis, but it can be treated in a variety of ways, including pain medication, hormonal treatments, and surgery. Endo constantly grows unless you are taking something like birth control which I was not for many years. I mean who is on birth control when you are trying to have a baby. I got this information here. I experience all of these symptoms and more on a daily basis. I was uneducated, I didn’t take control or stand up for what I KNEW was going on inside my body. I let everyone tell me to ‘get used to it’, that I was ‘exaggerating’, that ‘this is normal’. A part of me always knew that it wasn’t a normal feeling. 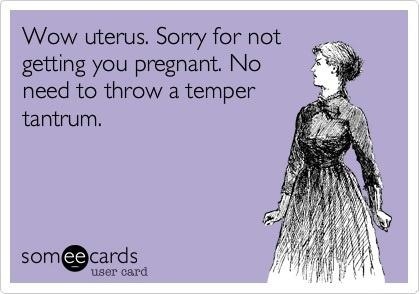 I am mean when I’m on my period….I mean MEAN. If everyone felt this way then the world would be terrified of women. You can’t expect me to be able to act happy…would you be happy if you had a steak knife constantly twisting and turning in your stomach? It feels like someone is putting my uterus through a meat grinder. 11 years of treading water. 11 years of damage done to my body that would eventually bring my husband and I more emotional pain than we ever thought we could bare. 11 years with no treatment and no one believing. 11 years of “bucking up” and “just deal with it”. And 6 years of just wanting a family. Wanting a little baby to hold, to comfort, to care for. To wake me up every night and early in the morning. We want it all. Please don’t try to comfort someone that is in a situation you haven’t ever been in. To me this is the worst thing in the world. Don’t try to demean my situation because you know someone who knows someone who……. Over the years I have just smiled and said “None yet!” That is usually when the “Your so lucky” comment comes in. I just smile and go back to what I was doing. I have learned from these experiences over time. I know that they don’t know my situation and I cant judge them on that. Or they think they are helping. The point of this story is to help people who don’t know what it feels like, and never will, by saying to you just simply think before you speak…If someone has been married for this long and they don’t have kids there might be something wrong. A few months back I was sitting in Relief Society (a class women attend in our LDS church) and looking at this woman sitting in the row in front of me. She was about to POP! 9 months pregnant and I could have been more envious! When the meeting was over I was walking towards the door past her to leave and she turned around and rubbed MY belly and said “Oh I would give anything to have my belly look like yours!” I simply said “Well I would give anything to have my belly look like yours!” Smiled and left. She looked confused and I don’t know if she ever caught on and that is okay. I was called to the nursery ((slap)) at church. Someone must be trying to teach me something…..just can’t figure out what it is. It is so hard being in there every week looking at all these children that have come so naturally to everyone and not having any of my own. Don’t feel bad when your friend struggling with infertility doesn’t come to your baby shower. It hurts enough just walking past the baby section in Target on my way back to shoes. Please don’t take it personally. Don’t take it personally when she is excited but not overly excited about learning you are expecting. She is just wondering why not her too. Don’t ask her every time she is sick if she is pregnant. It hurts to hear. It puts the thought in her head “what if?” just to get it crushed in a week when she starts her period. Don’t post the traditional April fools joke on Facebook “I’m pregnant!! !” It’s not funny. Social media today makes coping with infertility harder than it used to be because you now see EVERYONE from everywhere talking about being pregnant instead of just a few. Don’t think I am not happy for everyone expecting. I am THRILLED that not everyone has to go through what we are going through. But it still isn’t easy. Don’t complain about your pregnancy or you kids to her. She would give anything to be in your shoes and probably has given a lot already and still isn’t there. Don’t even get me started on abortion. You having a “choice” to take a life of a baby. So many people out there who cannot have children would have loved that baby with everything they have and they don’t even get the choice to get pregnant. Facing infertility every month is like losing a child in a way. Except people who have lost a child can grieve and slowly move forward in life. With infertility you feel like you are losing a child every month with your period. And you start the grieving process over and over again. You are losing something that you never had but want so much. Something that comes so easily for some people has cost us thousands and thousands of dollars and so much pain and heartache. We are at the point in our process of starting IUI treatments. You can learn more about it here. Your personal intimate part of your marriage is no longer that way. It is all out on the table and the doctors now have full control. When, Where, How many times, how often……EVERYTHING. Takes the fun right out wouldn’t you say? Our fertility specialist has recommended that we try this 3-4 times. I will be starting Clomid. If this doesn’t work for us then he said we are onto our extremely expensive last hope of In Vitro. Or the wonderful gift that is adoption, which by the way is just as emotionally hard and as expensive, if not more expensive as In Vitro. I have decided that if this IUI doesn’t work then we are taking a break for awhile. We are not in a financial position to be able to do In Vitro and I am not quite ready for adoption yet. I am not ruling it out. I’m just not there yet. If it doesn’t work I will need a break from all the heartache and pain. This is our life, Bentley, it got so hard and we wanted something to love together. He has helped us so much and had given us hope again. It makes me so mad when people can’t except this. He is all we have and we love him so much. I mean how could you not love that face? Why us? Why me? If I would have only known maybe I could have done something to make this disease not progress so far and damage so much of my body. Lately I have felt so left behind. Like nothing is moving forward and everyone around me is coming up on the finish line and I’m still trying to figure out how to tie my shoes. I am just trying to remember that my Heavenly Father has a plan for me I just need to figure out what it is. I AM grateful for this trial. The patience it has taught me and the lessons I have learned. I have more compassion, love and understanding for people as a whole now. It has brought Tyson and I closer together and has taught us to lean on each other for everything. He has been a great supporter to me in all this and has been my rock to build upon. I am so thankful for a loving husband who has held my hand through everything. He is amazing. And I need to thank him in advance for putting up with me through all this medication I am about to go on. I’m going to be crazy! Thanks for reading if you actually made it to this sentence you are a trooper. I don’t know why I felt the need to write this but I hope it was for a good reason. And if no one reads this then it sure did make me feel better to let this all out. 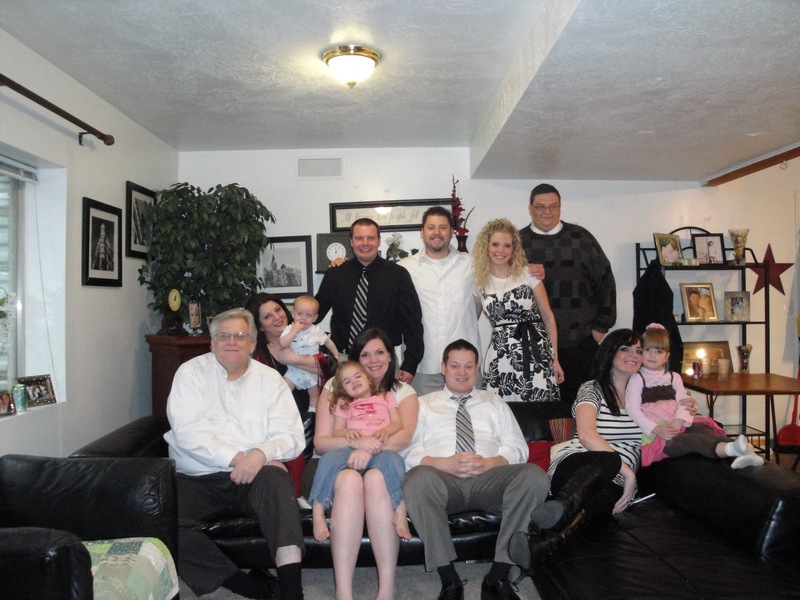 I also need to thank all my family for putting up with me and for giving us all of our nieces and nephews to love….life would be incomplete without each one of them.